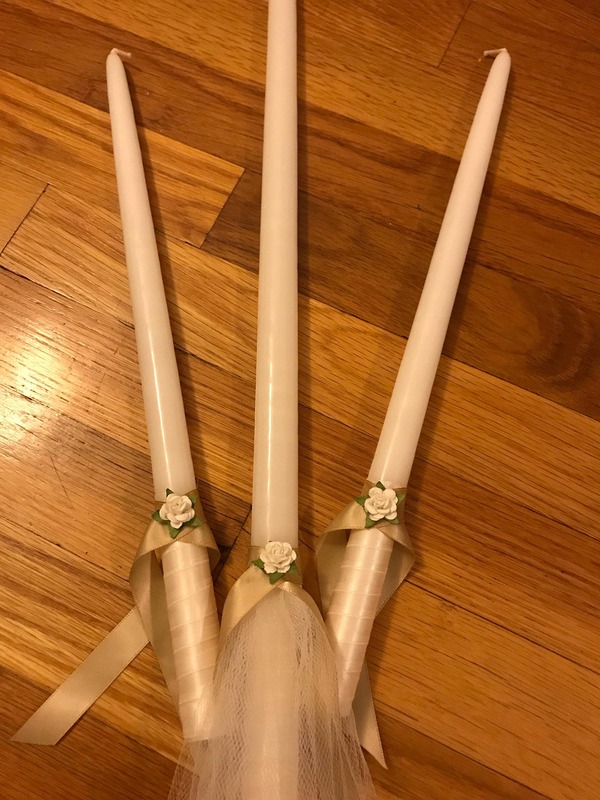 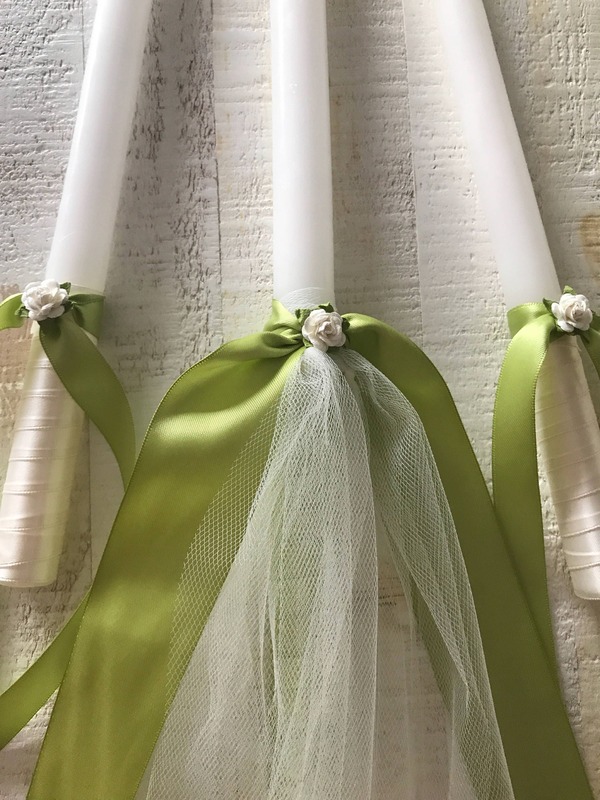 Sweet Pea Greek Orthodox Baptism Candles that have a sweet delicate touch- just like your little baby. 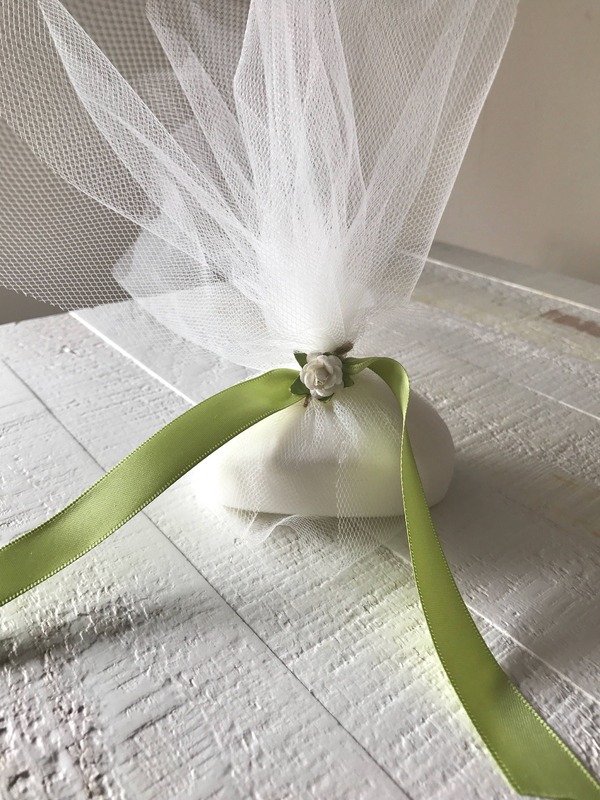 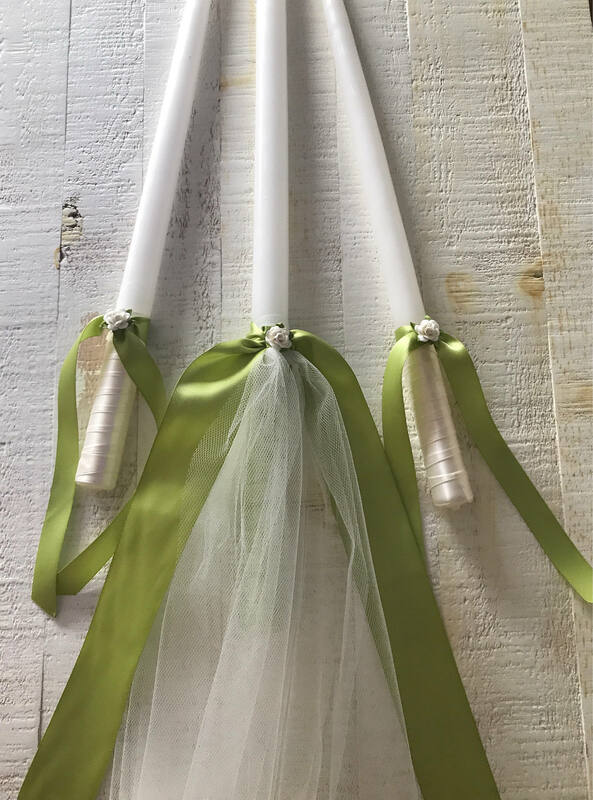 One 24" white taper candle wrapped delicately with green satin ribbon, ivory tulle and beautifully decorated with a tiny precious rosebud. 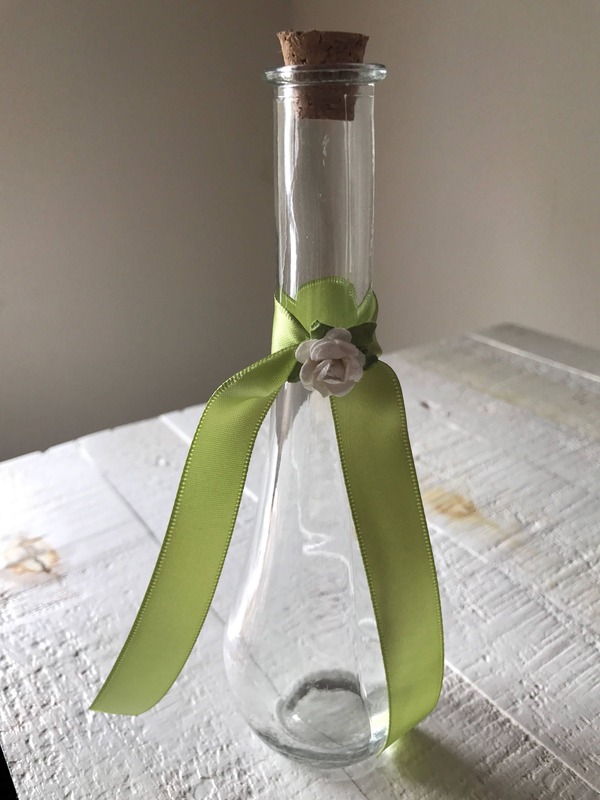 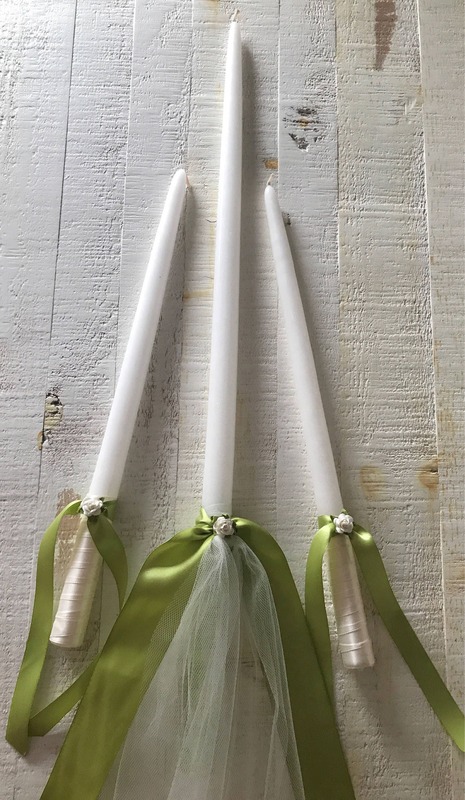 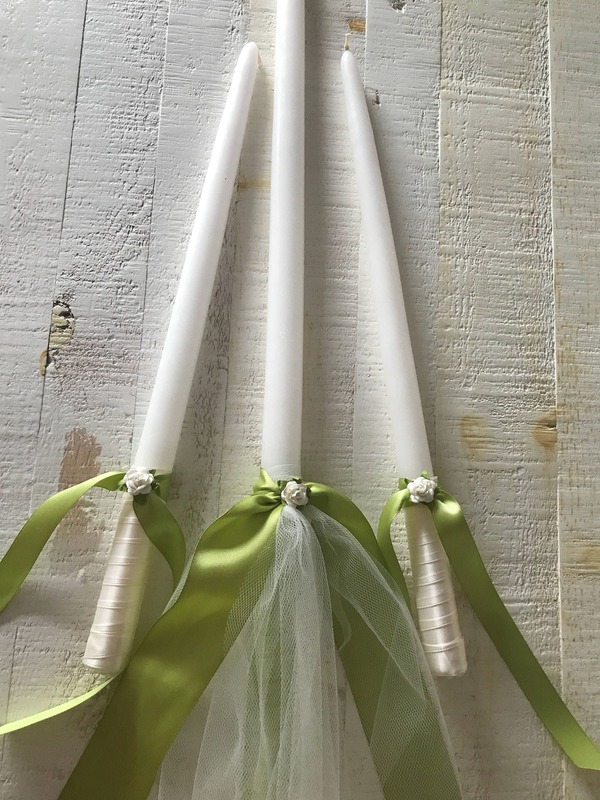 Two 15" or 18" white taper candles wrapped delicately with ivory and green satin ribbon and decorated with a tiny precious rosebud. 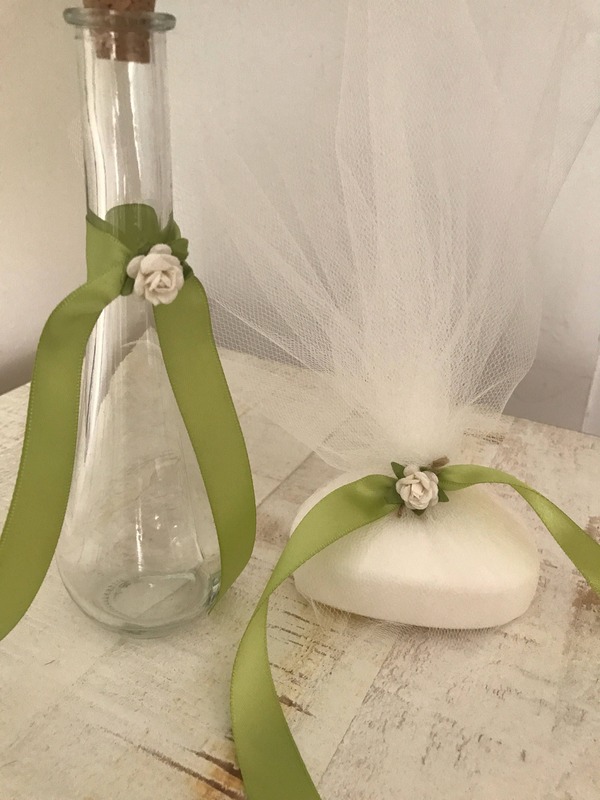 I am able to substitute the green ribbon with various colors if requested. 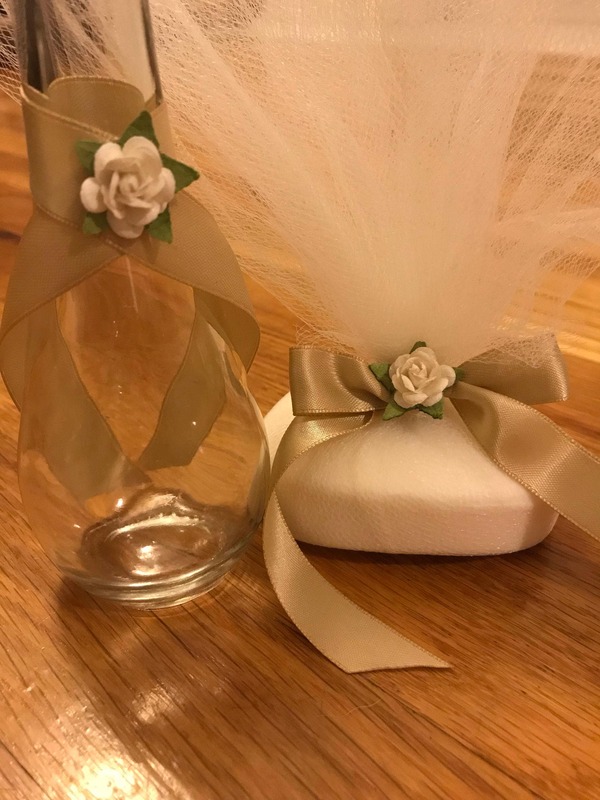 Very responsive, great product, and beautifully wrapped!